Welcome to the Ash Class blog! : Borth day two! We all woke up early this morning because we were all excited for the long day ahead. We woke up and ran downstairs to see what the cooks had provided for us. 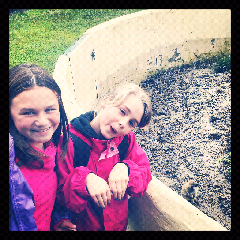 We also found out that we would be going to the Animalarium that morning! We all rushed to get ready and then we were off! 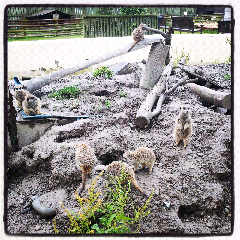 When we got there, we all split up to see what we could find - we all found the meerkats, but there were so many that we couldn't compare them (not simples!). 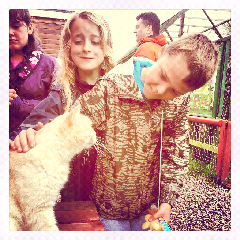 There were goats, a lynx, marmosets, rabbits, peacocks, emus and lots more! 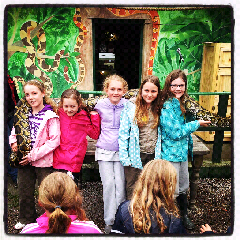 A bit later we all sat down and were shown some different reptiles, and even got to hold a massive cobra! On the way back to the hostel we were lucky that it didn't rain. 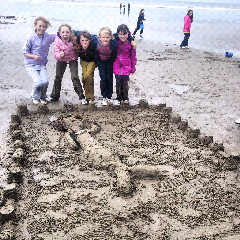 Later on we went to the beach for a sand castle competition, which Teifi dorm won (well done Karis, Gracie, Elise, Mya, Dana and Molly for their magnificent mermaid)! Then we played games and did whatever we wanted on the beach - it was awesome! Soon after, when we were all showered and warm and had eaten our dinner (curry! ), we went down to either watch a dvd (Tangled) our draw or play games. A great, long day! looks like you have had a great second day, glad it stopped raining for a short time, enjoy your last morning, can't wait to see you later emily and see all your pictures and hear your news. Wow another fun packed day youve had, sounds like your all enjoying yourselves. The photos are great, brillant mermaid, and its great to hear all your news - Chloe I can't beleive you ate curry, Well done. wow nearly time to leave already --hoping everyone is still smiling on return! wow it sounds like you had a brilliant time at the zoo! OMG that is so cute where we're you at the time I would wish to go there!!!! Wow that sounds like you had a good day. I wish I could go there. Did you have fun? If I could go eneywhere in the world it would be England. I hope you had fun. Write me back EMMA.